The most interesting thing about re-reading Jane Austen’s novels is realising how many false memories I have gained about the characters and plots in between readings. This is largely due to TV and film dramatisations, I should imagine, but I think there is also an element of age and different viewpoints coming into play. I remembered Marianne, for example, as being a lively, overly talkative, melodramatic and endearing girl with lots of energy and a prominent presence in the novel. Elinor I barely remembered at all. This is probably due to the fact that I last read Sense and Sensibility when I was about Marianne’s age and would have identified with her as a character far more than I identified with Elinor, but also Kate Winslet’s portrayal of Marianne has considerably influenced my memories of the novel. On re-reading, I was struck by how little Marianne is actually in the foreground of events; for most of the novel, she is silent and either upstairs, out of sight, or mooning around in a chair somewhere, her eyes fixed on the middle distance. Her ill advised dalliance with Willoughby and the ensuing consequences are a major plot point, and everyone’s concerns for Marianne means that she is constantly mentioned, but she barely says anything for herself once the action has moved to London, and when she does speak, it is full of self pity and melodrama that makes her increasingly infuriating as time goes on. Marianne’s silence and self imposed exclusion from society allows Elinor to come to the fore, and when Lucy Steele appears on the scene, the novel becomes less about Marianne and Willoughby and more about Elinor’s struggle to keep her sanity while fending off the advances of the nasty Lucy, who really does seem to be as indestructible as her name. Marianne’s quiet fading into the background is interesting, as she initially appears to be the most engaging character. However, her immaturity and overly romantic nature have led her to make the terrible mistake of falling in love with a bounder, and when she sees Willoughby’s true colours, she is unable to cope with the reality of a world that is not what she has been promised from reading her favourite romantic poets. She has been ill-prepared for real life; for pain, for disappointment, and for dishonesty. She judges people by sentiment and not by character, and this failing ultimately leads to her downfall. Mrs Dashwood has a similar temperament to her daughter, and unfortunately does not give Marianne the firm, wise guiding hand she needs. Instead, she too is blinded by Willoughby’s external appearances and encourages their romance. Therefore, when Marianne has the wool pulled from her eyes, she goes into a profound state of shock, which is probably the real reason for her inability to communicate after Willoughby’s betrayal. For the first time she has had her eyes opened to the true nature of the world; everything she believed and hoped for has been pulled from beneath her, and she has to find a way to move forward with a different set of beliefs and hopes for her future. When she finally does emerge from her long-drawn out melancholy, she has changed, for the better. She still remains loving, and romantic, and passionate, but this is tempered by more consideration for others, and more sense than sensibility; something Austen is anxious to promote. Marianne’s silence also serves to allow Elinor’s story to be heard. Normally the voice of reason is the one nobody wants to listen to; compared to Marianne, Elinor initially appears rather dull and pedestrian, especially when you consider that she is only two or three years older than Marianne, and still a teenager herself when the story opens. Her sense compared to Marianne’s sensibility is interesting; she is clearly her father’s child, and takes on the responsibilities of the male patriarch after her father’s death, ensuring the smooth removal of the family to Devon, as well as acting as the counsellor and calmer of worries and grief to her mother and sisters. Her difference in temperament is made even more clear when she and Marianne remove to London. Despite having her own heart broken by Lucy’s revelation of her secret engagement, Elinor shows no outward sign of discomposure and carries on regardless, comforting Marianne and going about the usual round of afternoon teas, evening card parties and Sunday walks as required by women being entertained in someone else’s house. Elinor is not only sensible; she is selfless, and considerate of others. Marianne thinks only of herself and her own distress, and does exactly what she feels like doing, without considering her position as a dependent on someone else’s kindness. Elinor does have her moments of frustration and anger, and she certainly makes her distaste of those she has no time for clear, but she never stoops to being impolite or inconsiderate, and this is where her sense elevates her far higher in the readers’ esteem than the self obsessed Marianne. By putting Marianne in the background during the middle section of the novel, Austen allows Elinor to shine, and to make her argument for sense clear to the reader. Marianne’s near-death experience is also significant in making this point evident; Marianne survives, but her sensibility is killed off, along with her hopes for a life with Willoughby. When she awakes, she is forever changed; she has made the transition from childhood to adulthood, and can finally see the error of her ways. Elinor and Marianne, or ‘Sense’ and ‘Sensibility’, are both fascinating characters and an interesting exploration of how very different two siblings brought up in exactly the same environment by the same parents can be. However, what struck me the most in the novel is just how prominent and menacing the character of Lucy Steele is. Austen’s novels are generally deemed to be cosy, escapist, and so on, but really, the more I re-read them, the more I realise they are nothing of the sort. Lucy is a villain of the worst kind; manipulative, calculating and totally self interested, she will do whatever it takes to get her own way, and doesn’t care what damage she causes to others in the process. She singles Elinor out as a threat to her engagement with Edward, which she knows full well is on shaky ground, and sets out to ensure that Elinor knows that Edward is ‘hers’, all under the sickly sweet cover of being in distress and needing someone to confide in. She also makes sure she ingratiates herself with those in a position to influence her future, and seems to feel no guilt over being thoroughly two faced. Her callous abandonment of Edward for his brother and her skillful pandering to Mrs Ferrars is expertly and coldly done; Lucy is a truly horrible and deceitful piece of work, and one who could quite easily have ruined Elinor’s happiness forever. She is not someone to laugh at during the novel, but rather someone to be genuinely afraid of; Lucy is dangerous, just like Willoughby, and her presence in the novel lends a highly unsettling tone to the proceedings. Throughout Sense and Sensibility, danger and uncertainty reign; Marianne could potentially never recover from her melancholy, Marianne nearly dies, and it does appear likely that both girls will not get their happy ever afters. It might be witty and well observed, but cosy Sense and Sensibility certainly is not. In fact, it is a stark reminder of the damage people can quite willingly do to one another, and how selfishness is most people’s prominent motivator. The opening paragraphs, detailing the hilariously selfish Mr and Mrs Dashwood and their justification of not giving the Dowager Mrs Dashwood and her daughters any money to live on, set this context right from the beginning. Sense and Sensibility is not just about two girls looking for love; as usual with Austen, it is a far more complex analysis of society than simply that. Overall, I thoroughly enjoyed Sense and Sensibility. It’s not a perfect novel, and it will never be my favourite Austen, but regardless, it was highly entertaining, excellently characterised, and very thought provoking. I did quite badly want to kill Marianne by the time she was dying of a cold – for heaven’s sake! – I can’t say that I haven’t spent many a night crying my heart out over a boy or two, but to go on for weeks as if life is no longer worth living over a man you merely spent a few evenings comparing the genius of Cowper with is ridiculous. Get a grip, woman! Elinor got all of my sympathy and she has now emerged as one of my favourite Austen heroines; she is the strength of Sense and Sensibility, and I think shades of Elinor can be seen in Austen’s subsequent successful heroines. As an early Austen, this is a very good novel in which to see Austen honing the skills she will later perfect in her true masterpieces (in my opinion these are Emma, Persuasion and Pride and Prejudice) and it also features some of her best comic creations. However, after reading two slightly mediocre Austens in a row, I’m now wanting to get back to the true genius. Due to my need to brush up on school texts for my teaching interview, I may not get around to it next month, but sometime within the next month or two, I’m going to move on to rereading Pride and Prejudice, which I haven’t done in several years – in fact, since I was 18. I studied it for my A level English exam (exam you do to qualify for university) and had to read it about four times in the space of 6 months, so I had had quite enough of it after that. Now I feel ready to go back, and see whether Mr Darcy is genuinely as fanciable in print as he is on the small screen. What a shame he doesn’t really emerge dripping from a pond in skin tight britches! 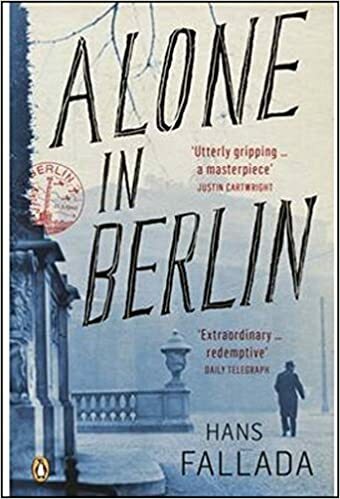 Another lovely post that makes me long to have enough time for a re-read of this novel — I am steeped almost to the point of drowning in work-related reading or I’d spend the week-end curled up with it. If you have not read it, Emma Thompson published the journal she kept while making Sense and Sensibility and — if you like Elinor, I think you’ll like the Emma that comes through in the pages of the journal. Oh that would be wonderful – I had no idea. I love Emma Thompson! Thanks so much for mentioning that – I’ll see if I can track a copy down! Rachel, your opening sentence is spot on: The most interesting thing about re-reading Jane Austen’s novels is realising how many false memories I have gained about the characters and plots in between readings. I am just finishing up a re-read of Emma, which I last read 6 years ago. I can’t believe how much I’ve forgotten, and my misconceptions about certain characters. It’s also interesting to consider where you were in life the last time you read one of her books, and how that influenced your reading. I was out of school when I read P&P, but poorly versed in the classics and really didn’t appreciate it. I re-read it after having read the rest of Austen’s cycle, and then I “got” it. Emma, too, is far better the second time around. Oh Laura, I’m so glad you loved Emma second time round! It’s my second favourite Austen behind Persuasion – I adore Emma as a character and Mr Knightley makes my heart melt!! I think so many people dislike books because they read them at the wrong time, and then most people never give those books a second try. Such a shame! Austen isn’t always best read at a young age – she’s definitely someone you appreciate more and more as you age. This is such a rewarding thread … it has started me down the road of thinking about the books I loved as a young woman, but which disappointed on the second go-round — not many here but Hemingway is the prime exemplar, also some of Edith Wharton. Then the books that age cannot wither nor custom stale — all of Austen, Jane Eyre, the best of Willa Cather, almost all of Thomas Hardy including the wonderful poetry (which I might never have been introduced to had it not been for Claire Tomalin’s biography), Middlemarch, and Trollope among others. And the books that mean the most to me now that — as Jean Brodie would say — I am in my prime … Tolstoy, Chekhov, Flannery O’Connor among others. I remember reading Chekhov’s The Lady with the Dog when I was about 20 and shrugging … not really sure why it was anthologized everywhere … at 50, I think it says more about men in love than almost any story, novel, play, or poem I’ve ever read. Then there are the writers that I hope to get to but my initial exposure makes me think we may not be kindred spirits — Henry James and Proust are the lead candidates here. And the ones I already know are kindred spirits but have not had time to really get to know — Montaigne, Hazlitt, Charles Lamb. I’m glad you’ve enjoyed this so much, AJ! I am afraid to read many favourite books from my childhood and teenage years in case their magic doesn’t last and my memories of them are tainted as a result. There are certain books that grow richer and richer as time goes on, and they are true classics – Austen is a perfect example. I’ve never read the Lady with the Dog…now I think maybe I need to read that! I always find Sense & Sensibility to be a deeply sad novel. In some ways I can relate to Marianne in my idealism and love of romance and so her story hurts me. I’ve reread the book about five times, always hoping that Colonel Brandon is more romantic (as the movies portray him) and less dry, just for her sake. I know she needs to grow up, but it’s almost hard to believe that she really can. The book The Cookbook Collector by Allegra Goodman is a modern retelling of S&S and quite a good one — one interesting detail I noticed is that the girls’ mother dies early, not the father, and so the Marianne-inspired character is forced to grow up on her own, without her mother coddling her, and she’s a better person for it, while the Elinor character is less sure of herself because she’s just following in her father’s footsteps. It’s a great book in its own right and not a silly spin-off at all, you could enjoy it even without catching the Austen references. I’m sorry that S&S makes you sad! I’m a romantic too but I think I’ve become more of a realistic romantic as I’ve grown older – I’m a real cynic now! I do think S&S is quite sad in showing how romantics often have their dreams dashed and their hearts broken, but I for the purposes of the novel, it’s a good thing that this happened to Marianne as it prevents her from living a life of unhappiness that her naiveity would have led her into. Col Brandon might not be gorgeous and dashing but he is devoted to her, and Marianne does end up loving and cherishing him deeply. Ultimately, what she thought she wanted wouldn’t have really made her happy. That’s the thing with being young – so many of the plans and dreams you have are based on little knowledge of life, and while you are evidently disappointed in those dreams, it’s often for the best that you are disappointed, as those things wouldn’t necessarily end up making you happy! The Cookbook Collector sounds very interesting – and I like the reversing of the parental role. I’ll look out for it – thanks for the recommendation! It certainly took a rereading of S&S for me to grasp the extent to which Marianne’s suffering if self-imposed. I actually think she possesses a great deal of sense, but unlike Elinor she deliberately chooses to ignore it in favour of cultivating her misery. When the narrator states that ‘Marianne would have thought herself very inexcusable had she been able to sleep at all the first night after parting from Willoughby’ it is made clear to the reader that Marianne’s indulgence of sensibility is a deliberate choice. She isn’t carried away by her emotions, she directs them. Elinor, on the other hand, feels and suffers just as much as Marianne does. She just wisely chooses to indulge her feelings in private. Elinor achieves a happy balance of sense and sensibility, wisdom and emotion, whereas Marianne nearly dies before she learns how to synchronize the two. Reading the post and comments, it occurs to me that Marianne seems to be like Catherine in Northanger Abbey but without the vivid imagination. But since it has been years since I read either novel, that may be an exceptionally inane comment on my part. It’s just that both seem to take their emotional cues from novels. AJ, I haven’t read Northanger Abbey in about ten years and can barely remember it…it made little impression on me. I must reread it…I just remember Catherine being ridiculously romantic, so yes, there are probably a lot of similarities to Marianne. But at least Marianne grows up by the end! Diana, that’s a really interesting observation and one I hadn’t really thought of – Marianne’s suffering is self imposed and she knows she’s being ridiculous but can’t pull herself out of it. Elinor is far more sensible but she is also a romantic and never stops hoping Edward will come back for her – she is marvellous! Rachel, as I read and re-read your review here of Sense and Sensibility, I kept thinking about your quest to be a teacher. I so dearly hope that this happens for you as I think you would such a phenomenal one, bringing the excitement and love of good literature to students. I hear it and feel it in your book reviews, never more so than in this one. This was a wonderful post. I do so agree that age, circumstance, etc. are all contributing factors in how we receive a book, doing so differently through various stages in life. I also think it is in the quality of the words on the page and how they stand the test of time. Oh Penny, how lovely you are! Thank you so much 🙂 That’s so kind of you to say so and I really appreciate your support and encouragement. Glad you enjoyed the post – Austen’s books are so successful because they grow with you, I think – they are timeless and ageless and everyone can relate. Lovely wrap up and incredibly eloquent as usual! I suppose Austen herself valued Elinor’s character traits very highly, but I also wonder to what extent she identified with Marianne. Had she also been betrayed and disillusioned or had she always been level-headed and wise beyond her years? Oh Pride and Prejudice – I can’t wait! Thanks Lucy! Glad you enjoyed it. Thanks very much – let’s hope so! 🙂 I appreciate your support! P&P should be fun; it is my second favourite Austen after Persuasion. I will be interested to read your thoughts. You are so welcome, Sue! I’m really pleased you have enjoyed these posts and that I’ve encouraged you to pick up Sense and Sensibility – it’s always a joy to revisit an Austen and get new insights. I am looking forward to re-reading P&P – I did love it when I read it for my exams and I am wondering whether I will approach it differently now I am older. Only time will tell! I look forward to hearing your thoughts when I get around to picking it up! I love reading your Austen posts, there’s always something new to consider. Thanks so much Lilac, I’m really pleased you’ve enjoyed them! I’ve loved writing them! I first read Sense and Sensibility when I was in my teens and even then could not sympathise with marianne at all, thought she was a pain in the neck. Have re-read this title many many times since and each time my admiration for Eleonor grows alongisde with my desire to strangle Marianne. Not one of my favourite Austens but it has grown on me over the years. Incidenteally, A Civil Contract by Georgette Heyer (IMHO here best and quietest book with an Austen feel) has two characters Julia and Jenny and I always think that GH was influenced by Sense and Sensibility when she wrote this book as they both show the same characteristics as the sisters. I feel exactly the same as you on all accounts, Elaine – I was so pleased by how lovely I found Elinor to be this time around. I’ve never read any Georgette Heyer but everyone whose tastes I share seems to have done so, so perhaps I should get around to it! Persuasion is utter perfection – Austen’s masterpiece in my opinion! Oh dear so many typos in my comment – sorry – have yet to have my first coffee of the day!! We’re all useless first thing in the morning, Elaine, don’t you worry! 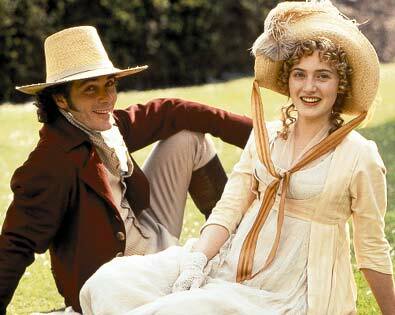 A girl could do a lot worse than try to emulate the likes of Elinor Dashwood and Anne Elliot. A great story! Indeed she could, Lisa!! I wish I could be more self controlled like Elinor! Elinor is my favorite character in S&S. I find Marianne to be too much of a romantic and sometimes a bit selfish. But then again Elinor sometimes seems like a martyr who yields to other’s people’s happiness rather than her own. But that is not to say she is not strong and willful, only that she is selfless. You’re right about the movie adaptation changing your views of the characters from the book. I’m totally spoiled by the BBC tv adaptation where Dan Stevens plays Edward. Somehow he makes Edward more likable, more present. It make me like his character better. But I think it’s also because I saw the tv show before reading the book. And certainly, easier to understand Edward’s plight. Still, S&S is a nice read but I still prefer Persuasion more. Thanks for enlightening me on the book. You’ve pointed out some of the things I did not pick up. Thank you. Yes Marianne is far too histrionic for me – I just wanted to slap her! Elinor is fantastic but yes, she can be a bit martyrish at moments – though I think Austen does a good job of keeping her on the right side of the line on that front. I don’t think I’ve seen the Dan Stevens version – I couldn’t watch it now though because I’d just be wondering where Lady Mary was! I’ve also re-read it recently for the first time in about 10 years and was also surprised at the things i didn’t remember or rememberred differently. Good point about Lucy. She is probably one of the most menacing passive-aggressive villain in literature. Her words are closely chosen to provoke a reaction and I think it’s great that Austen never directly tells us Lucy is bad news. She trust that we see through her, just like Elinor does (their conversations full of innuendos are great stuff!). Oh, Lucy is the epitome of passive aggressive – she knows exactly how to dig the knife in with a smile on her face. Yes, you are quite right – Austen leaves it all up to the reader to work that out and I love that – Lucy provides plenty of rope on which to hang herself and I love how Elinor point blank refuses to play her game- brilliant!